Have you often used your digital camera to capture an image of a document that you really needed to store digitally at any point in your life? 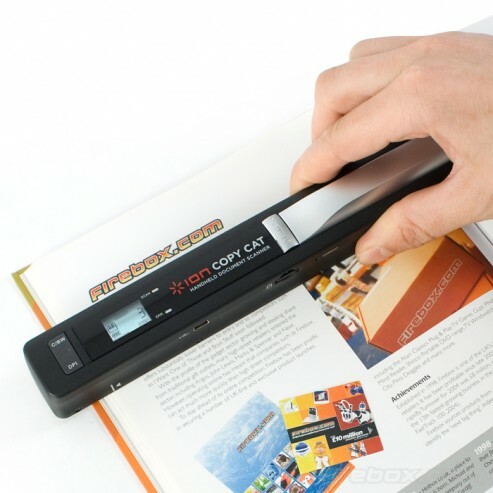 Well, if that had happened at any point in your life, you might be interested in the CopyCat Portable Scanner. After all, it beats what your digital camera shoots, since it offers a proper scanned copy of a page or document. Being portable, that would mean this is a handheld device which is capable of digitizing just about anything you like, as long as it falls within the performance parameters of the device. Being battery-operated, that would mean carrying spare AA batteries with you wherever you go just in case there are more pages to scan than initially thought. All it takes is a simple sweep and you’re done. CopyCat can scan in color at 600dpi as well, while its nifty OCR software can converts text images into editable text in Word, Clipboard or Excel. Worth the £79.99 asking price?